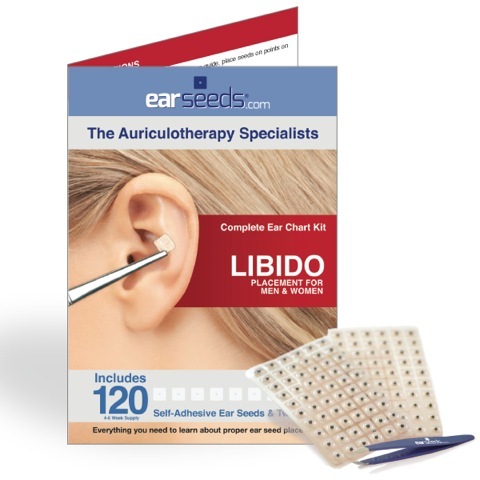 Contains ear chart showing auriculotherapy points that are believed to correspond to regions of the body associated with libido. 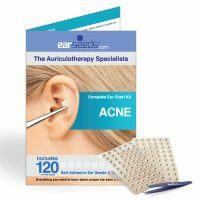 Kit includes ear seeds, libido point chart, and tweezers. 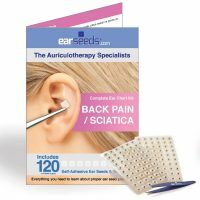 Small black seeds from the Vaccaria plant are secured on the ear with a piece of adhesive tape over specific acupressure points. 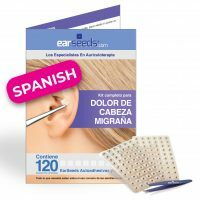 The seeds stimulate the point by exerting mild pressure. Clearly illustrated graphic image detailing points believed to correspond to libido.